Instead of drawing warmth or coolth from a ground or water source, in warmer climes it is possible for the external source to be the air. In cooling mode the compressor pumps refrigerant to the outside coil where it condenses into a liquid. The air flowing across the coil removes heat from the refrigerant. It is then transported to the inside coil where it picks up heat from the interior of the building. Internal air is blown across the inside coil where the liquid refrigerant evaporates giving up heat in the process. This cool air is blown into the building. To provide heating the reversing valve in the pump directs refrigerant to the inside coil first. This makes the inside coil the condenser, releasing heat to the interior duct system. The outside coil becomes the evaporator, collecting heat from the ambient air. Air-source heat pumps are becoming increasingly efficient. In fact, milder winters in the UK mean that inverter-speed-controlled compressors make air-source heat pumps more efficient than ground-source heat pumps. This version of the heat pump is mainly used to serve ducted air systems; there are very few available which operate wet underfloor heating systems. However, due to the absence of extensive external works, air-source heat pumps are much cheaper than ground-source systems. Rather than using electricity to power the compressor and fans, there is the prospect that natural gas or biofuel could be used to heat a Stirling engine to work the compressor and generate electricity for the fans. The excess heat could heat the building or provide domestic hot water. There is also potential for heat from natural gas or biogas to supplement the output from the heat pump when the external temperature falls below 1.6°C. 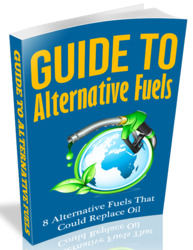 Such dual-fuel systems will be particularly attractive where gas prices are significantly lower than electricity costs. In certain locations the geothermal heat pump can reduce energy consumption and therefore CO2 emissions by up to 72% compared with electric central heating and standard air conditioning equipment. Where ground-coupled heat pumps are connected to the grid, given the present fuel mix across the EU, this results in a 40% reduction in CO2 emissions compared with modern fossil fuel alternatives. Add to this the fact that a ground loop lasts in excess of 50 years and the fact that heat pumps have high reliability and require no routine maintenance, the sustainability credentials of the technology are impressive. In terms of capital cost it is still the case that heat pumps are at a disadvantage compared with fossil fuel technologies. For example, the cost of a ground-source heat pump in the UK is at present 2 to 3 times that of a conventional fossil fuel boiler. In the case of a resistive electric installation like electric underfloor heating the cost disparity is even greater. It is in running costs that the advantages are to be found. In more recently built well-insulated homes with good thermal mass in the UK it is possible to achieve revenue savings as compared with mains gas, especially when maintenance costs are factored in. Things are better in the commercial sector. 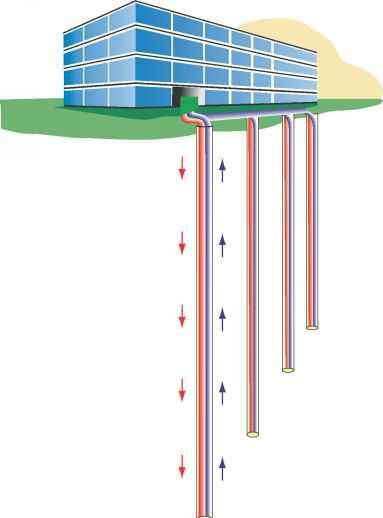 Where new low-energy buildings need both heating and cooling it is possible to demonstrate that ground-source heat pumps are competitive with conventional systems. This is because of cost savings in terms of reduced plant room area, absence of fuel tanks, flues and gas connection. Capitalized running cost benefits also help to tip the balance in favour of heat pumps. Four elementary schools in Lincoln, Nebraska USA installed geothermal heat pumps in 1996. In the first year of operation heating and cooling costs were $144,000 less than would have been incurred by conventional heating and cooling. In two other schools the total energy cost saving was 57%. One of the most ambitious heat pump systems was installed in 1997 by Oslo International Airport. It uses a ground water reservoir both for heat storage and a heat medium for the heat pumps and employs a circulating water rather than a closed-loop system. The installation has seven large piston compressors and uses ammonia as the cooling agent. In summer it provides a district cooling network which can reduce the temperature by 10°C compared with the external temperature. The total cooling capacity is 8.8 MW using 630 m3 per hour of circulating water. In heating mode, 3 km of plastic pipe connect the energy centre with 18 wells, nine warm and nine cold. Water pumped from the warm to the cold wells works as a heat pump, providing a temperature difference of 26°C, equivalent to 8 MW of heat. • It offers both heating and cooling. • It is environment friendly and could be zero carbon coupled to a renewable source of electricity such as PVs used to charge batteries to run the pumps. 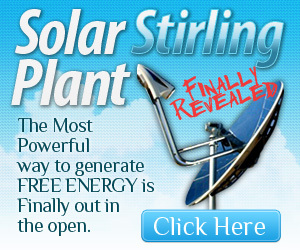 However, it would need a substantial PV array to produce at least 3 kW of electricity needed to power a heat pump. • It is efficient (relatively high coefficient of performance) and uses less energy than conventional central heating and cooling systems to maintain indoor comfort conditions. 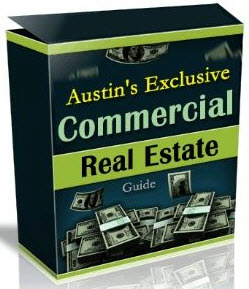 • Maintenance costs are virtually zero. • It is versatile and can provide different zonal temperatures simultaneously and can, for example, move heat from computer rooms to perimeter rooms requiring extra heating. • Because it has relatively few moving parts it is a highly durable technology. • It can easily be retrofitted provided there already exists a low-temperature heating distribution system such as wet underfloor circuits. There is a problem for domestic retrofit in that homes in the UK normally have single-phase 230 V, 50 Hz electricity supply. This limits the compressor size to 3 kW which in turn limits the heat pump capacity. Above this capacity heat pumps need a three-phase supply which, in the UK domestic market, would necessitate soft start electric motors or an inverter. • With underfloor wet systems the concrete floor slab insulated on the underside can act as a thermal store, enabling the heat pump to operate mainly on off-peak electricity. • The heat output of a heat pump is purely conditioned by the size of the compressor. With an accelerating demand for new housing in England, there is an ideal opportunity to exploit GHPs or water-sourced heat pumps on an ambitious scale. Whilst the technology is generally more expensive to install than conventional heating systems, the payback time can be as little as two years with the bonus that maintenance costs are lower (US Department of Energy). They could be used to serve groups of houses or individually installed. A grouped scheme could have a single twin-bore groundsource serving heat pumps in each house. In the UK recent government initiatives such as the Warm Homes Programme and the promotion of micro-generation has given new impetus to GSHPs. This has been helped by the relentless rise in the price of oil and gas. According to Robin Curtis of Geoscience there is a 50% year on year growth in the installation of systems. This company alone is retrofitting one property per day. Penwith Housing Association in Penzance, UK, has pioneered the retrofitting of GSHPs in their older properties. As energy problems become more acute, major boiler manufacturing companies such as Dimplex and Baxi are showing increasing interest in switching to heat pumps. Heat pumps are particularly appropriate for premises which need to dump heat, such as offices, hotels, restaurants etc. In such circumstances payback time can be less than five years. One difficulty with this technology is that it has an image problem. It is often perceived as a version of air conditioning with all the environmental deficits which that implies. 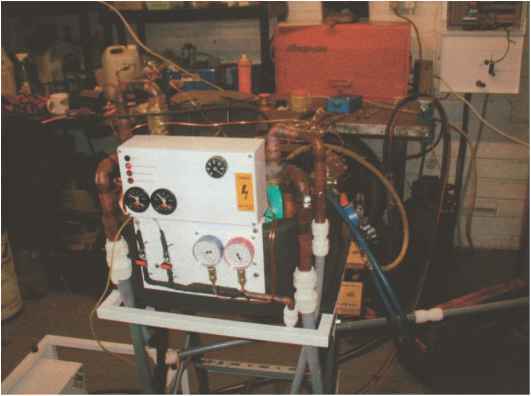 Research is urgently needed into a standardized method of measuring the performance of heat pumps. Also there needs to be a cost-benefit analysis conducted across a wide range of samples across the EU. We need to ask why heat pumps are much more in evidence in Sweden with its lower temperatures than in the UK. Since the publication of the first edition of this book, government action like the Affordable Warmth legislation and the Decent Homes Standard has given a boost to GSHPs in the social housing sector. In April 2006 the power company Powergen/Eon launched a system called 'HeatPlant', mainly for the social housing market. The package comprises a small GSHP system made by Calorex in either 3.5 or 5.0 kW mode which delivers hot water at over 65°C which meets a condition for funding laid down by the power Regulator Ofgen. Penwith Housing Association was the first to retrofit 14 homes in Cornwall, which has been a noted success.2 This has generated considerable interest in both the retrofit and new build markets, including new homes for the Metropolitan Housing Trust in Nottingham. Another stimulus has come from the Mayor of London, who has required that all new developments over a certain area should derive 10% of their energy from renewables.